Very Good. 288 p. British Library Crime Classics . 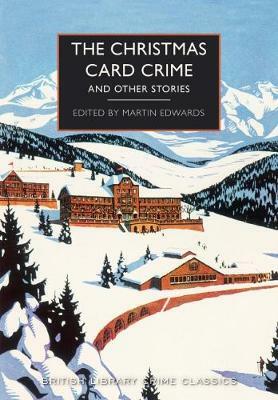 With neglected stories by John Bude and E. C. R. Lorac, as well as tales by little-known writers of crime fiction, Martin Edwards blends the cosy atmosphere of the fireside story with a chill to match the temperature outside. This is a gripping seasonal collection sure to delight mystery fans. New. 288 p. British Library Crime Classics . New. 100% Money Back Guarantee. Brand New, Perfect Condition. We offer expedited shipping to all US locations. Over 3, 000, 000 happy customers. 288 p. British Library Crime Classics . Fine. 100% Money Back Guarantee. Brand New, Perfect Condition. We offer expedited shipping to all US locations. Over 3, 000, 000 happy customers. 288 p. British Library Crime Classics .